This one right here goes out to all my set-it-and-forget-it people. I call it “Impress Your Friends Chicken” because I’ve received compliments every time I’ve made this for friends or family, and it’s actually pretty easy. Use a thin layer of nonstick spray (or your favorite nonstick method) on a baking sheet. Sprinkle half as much basil as a second layer. Last, use the Adobo as a final coat. It’s a fine seasoning so it’ll get in between all the spaces that the first two ingredients didn’t cover. When you think you’ve used enough Adobo, use just a little more. Place baking sheet in preheated oven. Bake at 350ºF for 40 min. Raise temperature to 400ºF and bake for another 5-7 min. Remove pan from oven and insert meat thermometer into the thickest part of the thickest piece. My idiot-proof meat thermometer has a setting called “Poultry” — if yours does, too, let your thermometer be your guide! (Remember, this is Impress Your Friends Chicken, NOT Poison Your Friends Chicken — better safe than sorry!) 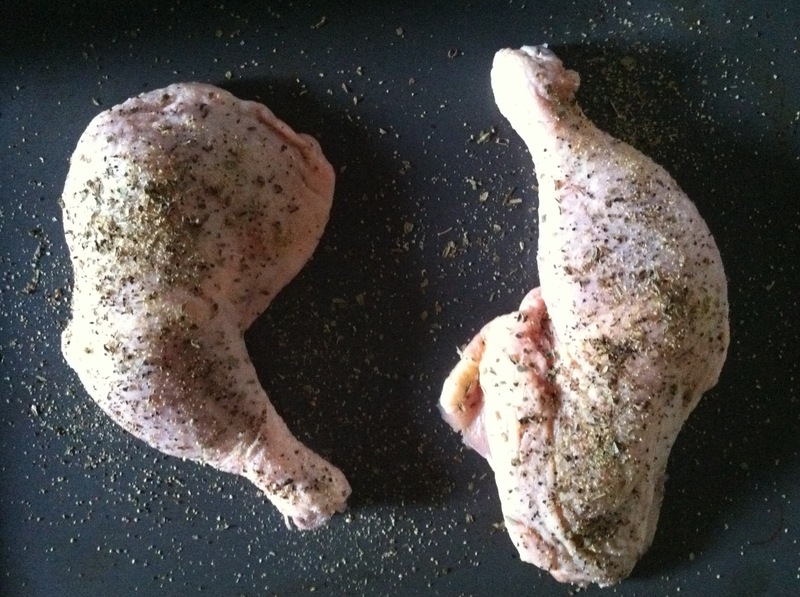 If you aren’t at the Poultry temp, place chicken back in the oven for another 10 min. Check the thermometer. 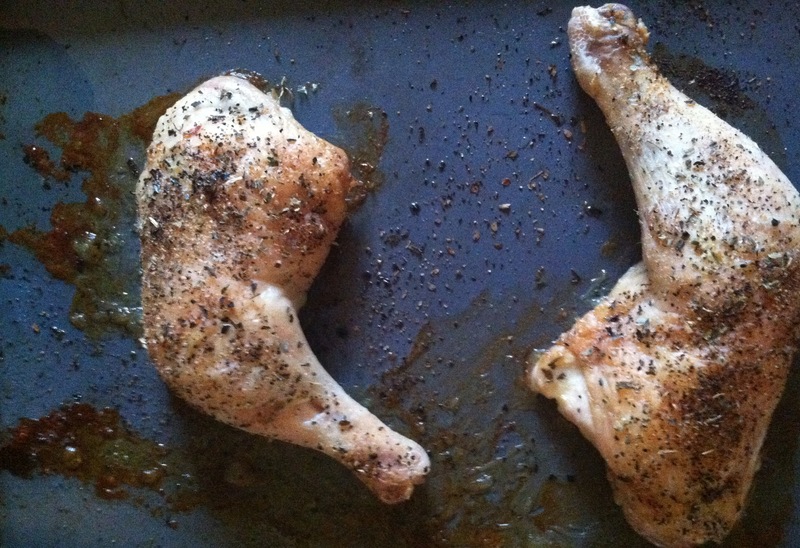 When the chicken is cooked thoroughly, remove from oven. TIPS: Serve with wild rice and a veggie side. Try this roasted veggie recipe in cooler weather.